To commemorate the anniversary, we will be posting several blog posts featuring some of our favorite artists. This week, we are featuring artisan Marian Maurer. After graduating from one of the country’s premier jewelry programs and working for a leading fine jeweler, Marian Maurer debuted her first collection in 1997. The daughter of two architects, she combines a strong sense of design with impeccable workmanship to effect a timeless style. Her jewelry is beautiful, elegant and, most of all, wearable. 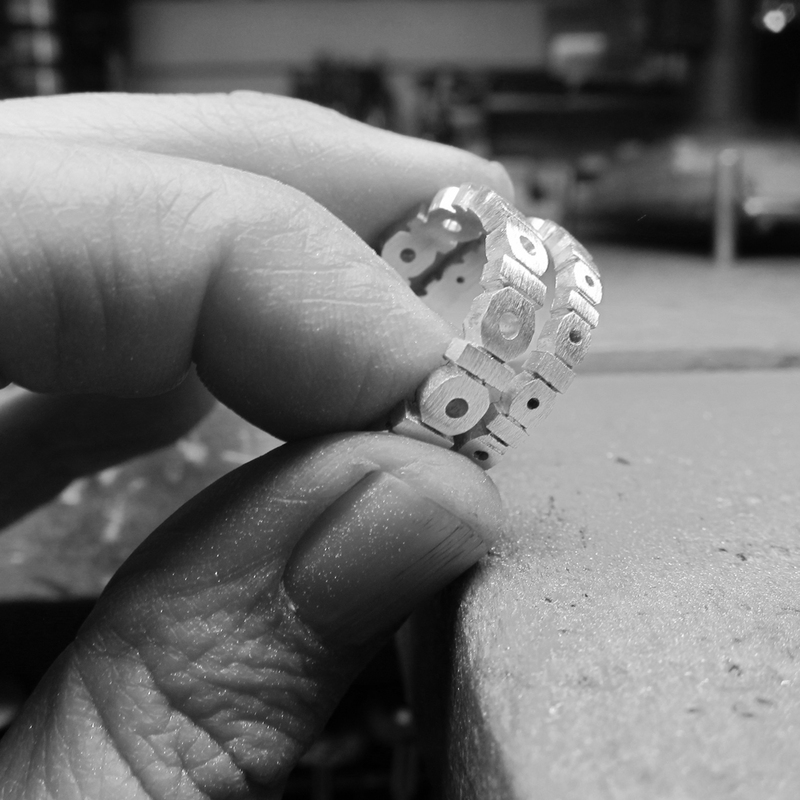 Sundance: Tell us how you got started as a jewelry artist? 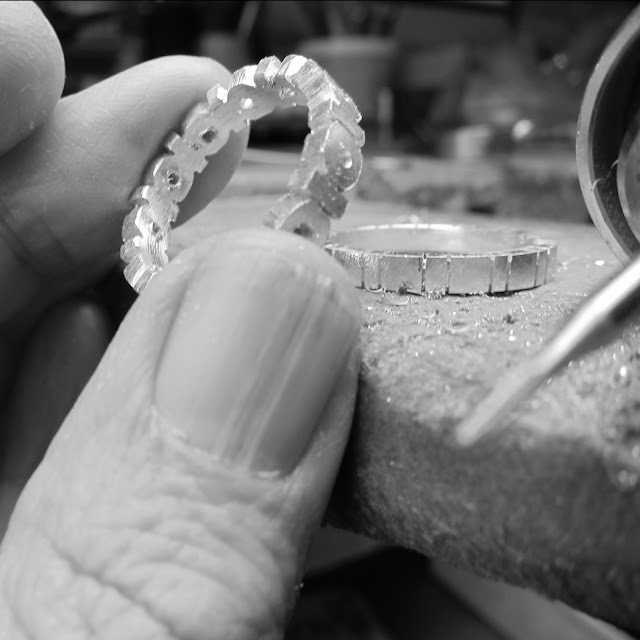 Marian Mauer: As an avid silver jewelry collector, I began making jewelry for myself when I couldn't find fine jewelry pieces that appealed to my aesthetic and the rest, as they say, is history!! SD: What are your favorite materials? MM: 18K yellow gold is by far my favorite medium in jewelry. With our great matte finish it just glows and the particular alloy we use has great qualities that make working with it a pleasure. 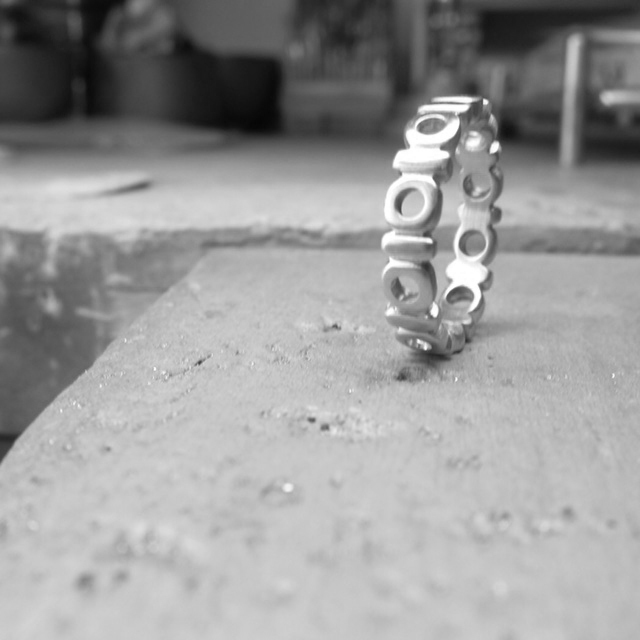 Starting with a blank ring, I mark out the pattern and start to carve the silver. 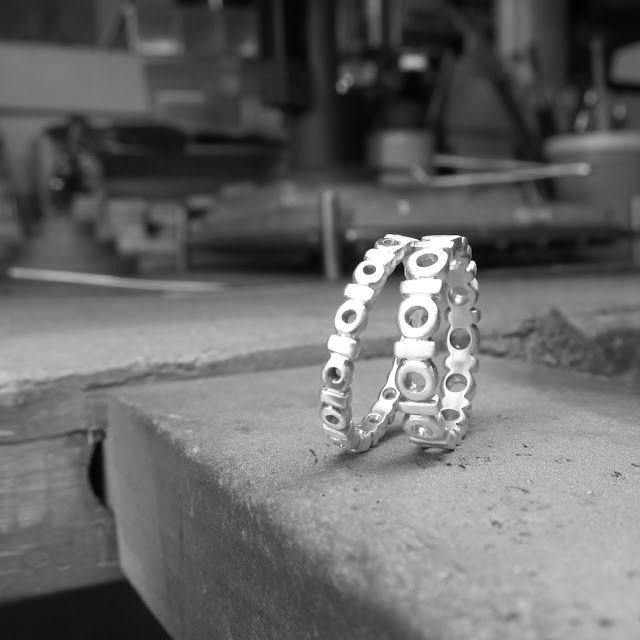 I pierce and carve until slowly the piece emerges from the metal. The edges rounded and smoothed. Ready for molding and casting into gold! Gold band ready for setting. Our beautiful J bands set and final clean up and finishing - Voila! I don't collect images or pick a theme -- I let things come to me organically. I get an idea, usually just an inkling of an idea, and think about it for a while. I rarely sketch it out, just a note or two so I don't forget it. 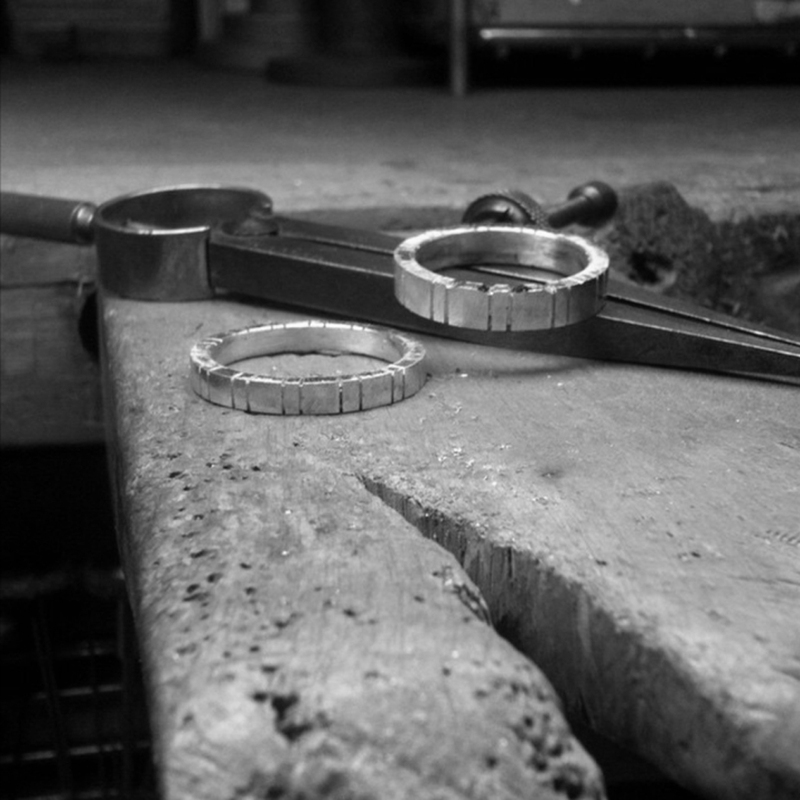 I sit down at the bench and start to work through the technical and design aspects, and the new piece emerges. What I love about my process is that it leaves a lot of room for happy mistakes and takes me in unexpected directions. It is my absolute favorite part of my job! SD: Can you give us any more information about yourself that would be helpful? MM: I have a silly streak that I think keeps my collection from being too precious and serious. 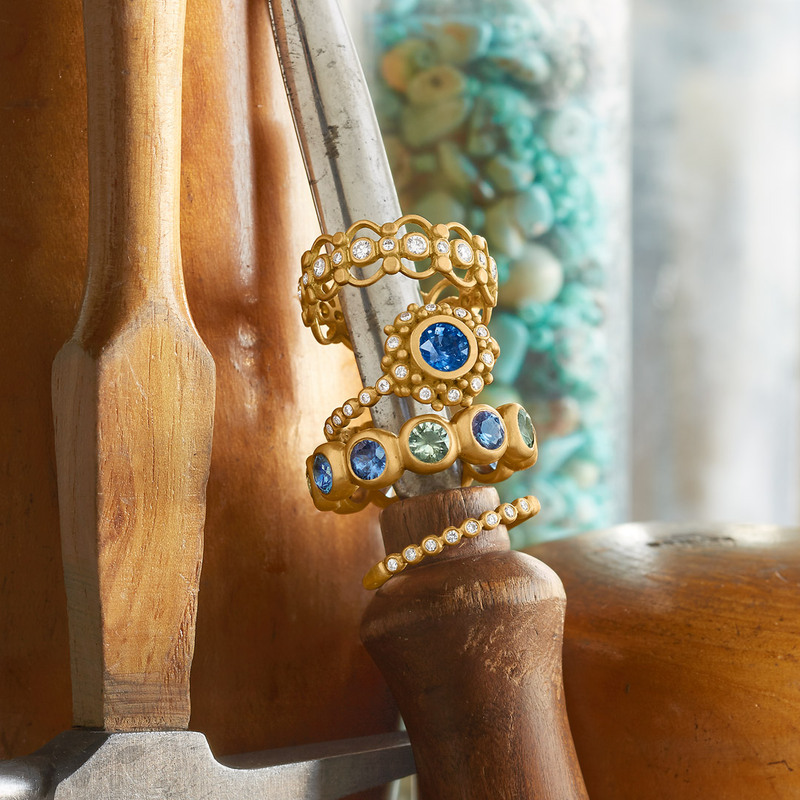 Click here to discover Marian's entire collection.